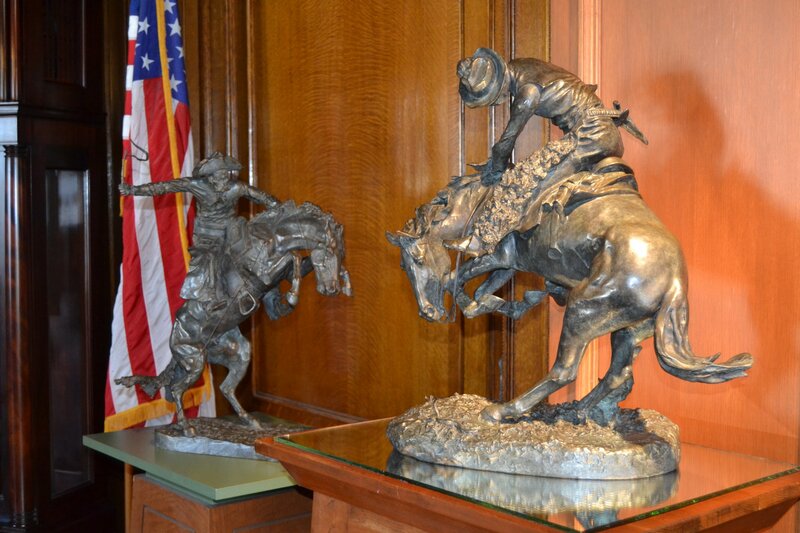 The Frederic Remington Art Museum has created the finest reproductions available by scanning an original in 3D. Cast in the US using the traditional lost wax bronze casting method. Each cast is proofed twice in production by the Museum's Director. Nothing compares. Our process begins with scientific accuracy. The first steps employ a technology undreamt of in Remington’s day: A 3D laser scanner captured every minute detail. The scanning data is then employed to create a positive copy in resin. This hyper accurate copy is then employed to make molds and continue production in a manner similar to Remington’s day, all under the direct supervision of the Remington Museum’s Director. 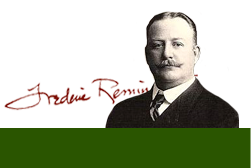 If you would like to learn more, please contact Laura Foster, Museum Director. View images from the wax stage to the completed bronze.